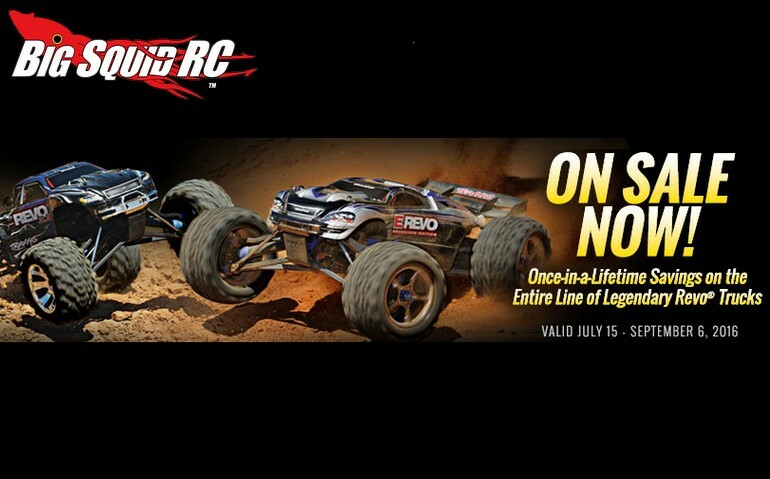 Traxxas Revo Special Promo « Big Squid RC – RC Car and Truck News, Reviews, Videos, and More! If you are a basher then we don’t have to explain to you how legendary the Revo line of trucks from Traxxas is. Now, for a limited time, you can get a great deal on a variety of different Revos. From the nitro powered Revo 3.3, to the E-Revo, to the 1/16th scale E-Revo, you can save some cash on an epic basher. To get all the details Click On This Link that takes you over to the official Traxxas website. Can’t get enough Traxxas news? Find more Right Here on Big Squid.